A player with a Northern California connection was bound to win the doubles title today in Monterrey, Mexico, on the WTA tour. As it turned out, top-seeded Anabel Medina Garrigues and Arantxa Parra Santonja of Spain won their second championship in two weeks. They edged unseeded Petra Martic of Croatia and Maria Sanchez of Los Angeles and Boca Raton, Fla., 4-6, 7-5 [10-7] in the Abierto Monterrey Afirme. 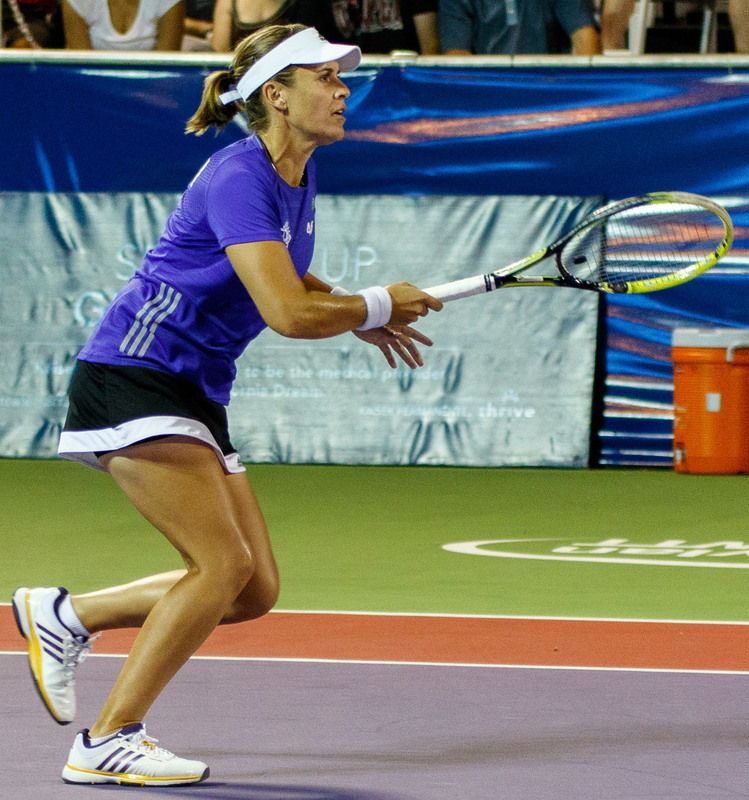 Medina Garrigues was named the co-Female MVP of World TeamTennis while playing for the Sacramento-based California Dream last July. The team folded in January. Sanchez, 26, was born and raised in Modesto. Medina Garrigues and Parra Santonja, both 33, won their third doubles title together. They triumphed in Antwerp in February 2015 and Acapulco last week, although they became full-time partners only last June. Overall, Medina Garrigues has won 27 doubles titles, including the French Open in 2008 and 2009 with countrywoman Virginia Ruano Pascual, and Parra Santonja 10. Medina Garrigues attained career highs of No. 3 in doubles in 2008 and No. 16 in singles in 2009. She has earned $5.8 million in career prize money. Sanchez, a 26-year-old USC graduate, played in her second WTA doubles final. She won the Auckland title in 2014 with Sharon Fichman of Canada. Sanchez took up tennis at 10 when she and her family moved to Guadalajara, Mexico, for one year. In Monterrey, Martic and Sanchez upset No. 2 seeds Anastasia Rodionova of Australia and Alicja Rosolska of Poland in the first round and No. 4 Maria Irigoyen of Argentina and Paula Kania of Poland in the semifinals. Pacific Coast Men's Doubles in La Jolla, Calif. -- No. 1 seeds Julian Cash and Arjun Kadhe of Oklahoma State defeated No. 3 Tom Fawcett and Maciek Romanowicz of Stanford 7-6 (1), 6-4 in the final. Earlier today, Cash and Kadhe beat No. 7 Tyler Browne of Walnut Creek and J.T. Nishimura of Cal and San Jose 6-3, 6-3.